Brad from BurgerWeekly, the co-host of our Like Bite & Share Podcast has a favorite Burger and it’s at Black Iron Burger in NYC. 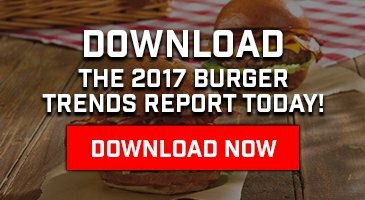 The man has eaten and written about hundreds and hundreds of Burgers so you can trust he knows a good Burger when he bites into one. As we join forces with him every year to host a NYC Burger Week event when it came to picking where to do it, there was an obvious choice. Black Iron Burger has been around since the early 2000’s where they started as a 10 seat restaurant in the East Village. They’ve since expanded into 2 more locations and are continuing to grow. They mix classic American Burger builds with artisan toppings often times with European influenced builds, like Little Italy Burger : 6oz All Natural Beef, Gorgonzola Cheese, Applewood Crispy Bacon, Julianne Lettuce, Secret Coleslaw Mayo. Black Iron Burger uses our Schweid & Sons The All Natural fresh ground beef which is Family farm-raised Angus beef without antibiotics, hormones or steroids. We had a couple of crazy and fun ideas for an event with Black Iron Burger and ultimately they decided to pay tribute to a Super Hero film buy themeing Burgers after the main characters and serving beers from their respective home towns. It ended up being a really, really fun and interactive dinner which we even documented by recording a live version of our podcast during the event. Listen in and find out exactly what happens during a NYC Burger Week event. There is a rift between the Burgers at Black Iron Burger and you’ll need to use your keen super human Burger-tasting powers to bring peace and harmony to the super Burger universe. Join Black Iron Burger and BurgerWeekly for a very special Burger & Beer dinner with Schweid & Sons. You’ll get taste 2 different Burgers from Black Iron Burger with a friend and together, you’ll decide which is the better Burger. Along with each Super hero themed Burger, you’ll taste a beer from the hometown of Cap and Mr. Stark, NYC and Long Island respectively. After you’ve tasted both Burgers, cast your vote on which Burger is more super-charged. All entries for the Burger with the most votes will be entered into a contest to win a gift card from Black Iron Burger and limited edition Schweid & Sons grilling apron, a Black Iron Burger t-shirt and a $25 Black Iron Burger gift card. So who won the epic battle between these 2 great Burger Super Heroes!? The Black Iron Burger / Iron Man walked away the favorite but the real winners were everyone in attendance! Thank you to everyone that showed up and had a really fun time eating great food, talking Burgers and participating in our podcast. It was all the guests that made this so great. A special thanks goes to the BurgerBabez, Tanya, Phillip, Dr. Ali, John Agostini, Mike, Sanam, and everyone else who helped us with the recording of the podcast. To my fellow Burger loving buddy Brad Garoon, it’s Burgers that brought us together but it’s an appreciation for something greater that keeps us together …. not just talking about French Fries. Couldn’t do it without you and wouldn’t want to. Thanks. A big thank you to Victor, Russell and everyone at Black Iron Burger for putting together a well run and very delicious NYC Burger Week event!